For the first time ever, I have two of my books on free promo at the same time. Liars’ Games and Not Expecting This. I wanted to give back to readers and introduce them to two of my series. 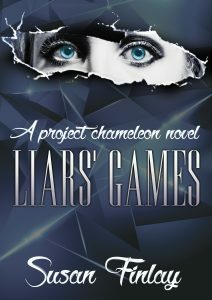 Liars’ Games is one of my early books and sort of has a sequel. The main characters from that book appear again in Winter Tears, the third book in my Outsiders series, but in Winter Tears, they are using new identities and they co-mingle with my Outsiders characters, so I can’t call it a true sequel to Liars’ Games. I have a full sequel to Liars’ Games in the works. It is tentatively titled The Secret Town. Liars’ Games is a bit different from most of my other books because it’s more of a suspense novel than a mystery. It’s about a genius professor, Juliet Powell, from England who moves to the U.S. and is inadvertently caught up in a crime that causes her to have to enter into the Federal Witness Protection Program (WITSEC). Her life, now as Claire Constantine, is further complicated when she mistakenly accepts a job as a high school principal in a terrible school full of gangs, drugs, and also disgruntled employees. My husband and I are watching a popular NETFLIX series (a political drama) in which one of the semi-main characters ended up in WITSEC. It was fascinating to see him given a new identity, a new apartment, and a new job and life. Made me think about Liars’ Games. The other book that is on free promo is Not Expecting This. It’s my newest book (released August 6th of this year) and it’s a time travel historical mystery with a bit of romance. It’s the third book in my Bavarian Woods series, but it’s a bit of a departure from the first two books because it’s not set in Germany but in the U.S. (Colorado Rockies). Also, several new characters are introduced and only one character from the first two books is a main character in the new book. I wrote the book with the expectation that it could be read as part of the series or as a stand-alone book. I do have more books planned for the series. There are many different directions in which the series could go. In Not Expecting This, a seventeen year old pregnant girl, Bailey Blackwood, who has spent most of her life in foster care in Florida travels to Colorado to meet her biological father. But something happens along the way and her life, and the life of a dog (an Irish Setter), takes a completely unexpected course–the pair ends up time traveling to an old Gold Rush mining town in the mountains in the 1870’s. Now they’re in big trouble. I hope you will download these two books in Kindle format from Amazon. They are temporarily free on all Amazon sites around the world. Please tell your friends, too! Happy reading and happy time traveling to you. 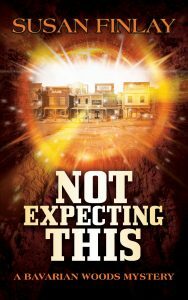 “Not Expecting This” is a great book! Good reading! Leave a reply on "FREE! FREE! FREE!"